Family Law arbitration was launched in 2012 by the Institute of Family Law Arbitrators to enable family financial disputes to be dealt with by arbitration. Arbitration is a process to which both parties must agree. Both parties sign an agreement confirming that they agree that the arbitrator’s decision will be final and binding. Arbitration can only be discontinued if both parties agree this and the arbitrator replaced only by agreement of both parties or order of the court and the grounds for securing such an order are limited. The identity of the arbitrator is agreed by both parties and once the arbitrator is appointed they will have a wide discretion and significant powers to manage the case. The arbitrator can therefore decide procedural matters such as what evidence is provided, the appointment of any experts and the questions to be put to the experts and the arbitrator can also make interim awards such as interim maintenance. When determining the issue of financial provision it will be with reference to the laws of England and Wales as it is in the courts. Arbitration is an option for those separating couples who cannot reach an agreement and know that a third party decision is required but they want to avoid the delay of court proceedings. A lot of talking! This is a process that minimises correspondence and everything important happens in the room at what are called “4 way meetings”. This process very much involves you and your former partner in setting the agenda and in reaching a resolution on your terms. It gives flexibility to achieve an outcome that might well differ from what a Court might order but you will both receive advice on what a court would consider appropriate, even if your respective advisors differ in their views on outcome. Whilst this process is tailored to the pace of the slowest person in the room, it can also go very fast if both parties want and can cope with that. Meetings can be held close together and provided you have the requisite financial information available, a conclusion can be reached and made binding within weeks rather than months. Information and advice. This process can bring in IFAs, actuaries, family consultants and mediators alongside the lawyers. The third parties are instructed jointly by both you and your former partner and can give their assistance in the room so you can both hear what is being said. Your lawyer can also give you advice outside of the 4 way meetings, but he or she must be prepared to repeat that advice in the room. The CL approach is to be open and transparent across the board. A grown up civil discussion with you both in the same room. You both sign an agreement that governs how you will behave to each other in the 4 way meetings. If either of you do not behave acceptably, your lawyer will call a break. It is ultimately your process, although guided by the lawyers but the onus is in you and your former partner to make the decisions and reach an agreement. The purpose of the hearing is to set out what additional information the Judge (and parties) need to have to be able to discuss possible terms of settlement. This could include reports as to pension values and prospective income, and valuations of properties or businesses. Before the hearing, you will each have prepared a questionnaire on the other’s Form E. A party can chose to volunteer answers before the FDA but if this has not been done, the Judge can be asked to decide if the questions asked are fair and relevant to the issues, and he will then order that the questionnaire is replied to in a set period. A judge might decide at the hearing that the case could be settled and encourage both of you to try to negotiate a settlement. It will be a matter for you and your lawyer if you take that on board at this point. The Judge also has your Forms E, replies to any questions you have asked of each other and any valuations or other reports that have been ordered. He is also given (by your legal representatives) a summary of the case and the outcome you are seeking. You are asked to arrive an hour beforehand to see if discussion before you see the Judge can narrow any of the issues. The hearing times you are given are not reliable, you can generally have as much or as little of the Judge’s time as your case needs, bearing in mind there will be other cases before the same Judge on that day. Each side presents their case briefly to the Judge. The Judge can then choose to give “an indication”. This is his view on what the likely outcome would be at a final hearing. He will stress that he has not, on this occasion, heard any evidence and has not had the time to consider all of the evidence in the way a final hearing Judge would be able to. After any indication, everyone leaves the courtroom with the hope that the guidance given by the Judge will enable more productive negotiations to take place in the remainder of time at court. This can place pressure on a party if the Judge’s indication has favoured one party’s position. Your legal representative will explain to you if there are reasons to discount what the Judge has said. The Judge will also stress the legal costs and the emotional strain that you will both incur if you do not settle. While it is right to emphasis this, your legal representative will make sure you understand if the offer on the table is something you could or should accept or dismiss. If you reach an agreement, this can be drawn up while everyone is in the court building and the Judge will give his approval to it, making it a binding order on that day. If you do not reach an agreement you go back before the Judge who will give directions to prepare for a final hearing. Your lawyers will have worked out most of the directions before going before the Judge and he will make a decision on any parts they cannot agree. Not reaching a settlement at an FDR does not mean the case cannot settle at a later stage, through solicitors’ negotiations. An FDR can be a long day at court. Always bring some refreshments, and try if possible to take a small break outside for at least 10 minutes during the course of the day. Matters that you are likely to consider urgent (such as not seeing your child) are not given urgent hearing dates, so you may wait around 4 weeks for a first hearing. Before the hearing, you should receive a call from a CAFCASS officer who will ask you about your reasons for making the application, or your thoughts on the application made by the other parent. They will also be carrying out checks on both of you with the police and social services. You will be asked by the Court to attend at least 30 minutes before the hearing time. This is for you or your solicitor to try and discuss matters with the other parent (through their representative if they have one). You may be able to reduce the issues that have to be considered by the Judge or magistrates if you do this. In the Cambridge Hearing Centre, there is often a volunteer mediator available for the first Children Hearing who will speak to you and the other parent ideally in the same room, without any solicitors, to see if an agreement can be reached. If the Judge or magistrates suggest this, it will be because they believe you will both be safe in that conversation and that it may be productive. This service is free. The Judge or magistrate will rarely look at any evidence you bring to the first hearing although it is usual to file a position statement. This briefly summarises what you want the Judge or magistrates to order, and why. In Court the Judge sits alone and will speak directly to each of you, or your solicitors. He will have the safeguarding report provided by CAFCASS from their telephone discussions with each parent. He will be trying to see if a resolution can be reached through compromise, to avoid the case continuing. If your case is before magistrates, everyone is introduced by the clerk who sits to one side. If the magistrates have to make a decision, they will often leave the room to consider this and you will be asked to leave for a period and be brought back into Court later. Where the magistrates make a decision, their reasons will be confirmed in writing later. If the case is to continue, an order will be made setting out who has to do what by set dates and will give the date of the next hearing. You will be sent this through the post or your solicitor will provide it to you. Form E is a “one size fits all” so it is intended to cover all eventualities. Most people will find there is at least one section that does not apply to them. It also asks you to predict what your future requirements will be in terms of your budget for day to day living costs, and what you need to set yourself up as a separate person (or with your children) at the end of the marriage eg house, car etc. It is quite important to get this right as it can be difficult to justify changes at a later stage. Often your solicitor can supply you with a schedule of outgoings to prompt you to think of everything. When Form E is ordered to be filed in court proceedings, the aim is to have the supporting evidence as near to the date of filing as possible. For example, a filing date of 10th September would mean including your August payslip. There are some things in a Form E that it is acceptable not to know eg the value of a business or the amount of CGT payable on disposal of a rented property. You can state on the Form that you do not know, and a way of finding out that information can then be agreed upon or ordered by a Judge. Form E carries a statement of truth, which you are asked to sign. It is a serious matter, and can be used against you in negotiations or arguments before a Judge, if it is clear that you have not been honest in the information you have provided in your Form E. In some circumstances, it could lead to the case being re-opened and the matter being dealt with afresh. Mediation is an option for those separating couples who want to work together to reach an agreement about finances or children matters but are not able to deal with those discussions by themselves. Mediation is a voluntary process, the mediator is chosen by you both and is neutral and therefore cannot give advice to either of you. The mediator will encourage both parties to seek independent legal advice to discuss particular legal issues or the range of settlement options, both parties are then encouraged to return to the mediation process. The mediator is there to encourage you both to discuss and explore settlement options. The mediator will usually start by meeting both of you separately to establish whether mediation is appropriate. Following that initial meeting you will then have a joint meeting with the mediator (at a later date) to clarify the issues that mediation is being used to resolve. When mediation concerns financial provision the mediator will ask you both to provide your financial information. The mediator will then prepare a document setting out a summary of your respective financial provision and it may be at this point they encourage you each to take independent legal advice. The mediator cannot impose a decision on either of you. If an agreement is reached then the mediator will prepare a heads of agreement document that sets out the agreement reached. 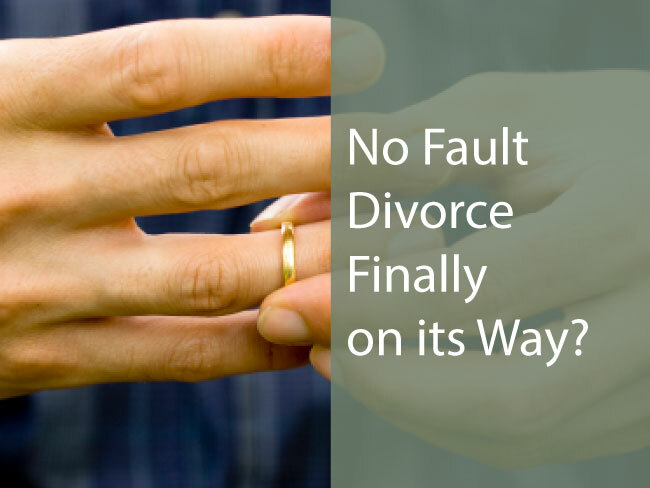 This is not legally binding and would need to be converted into a draft order to be submitted to the court within divorce proceedings or if there are no court proceedings transferred into another open format. I have now received my copy of the Cohabitation Agreement. Thank you for representing my interests and for your excellent work. Many, many thanks for achieving this, Karen. I never thought the divorce would be settled without going back to court. Thank you for your wise advice and support. I would recommend you without hesitation. Karen, thank you for your efficient, prompt attention to help us finalise this prenuptial agreement within a tight deadline. Karen Anker at Barr Ellison was superb - knowledgeable, supportive and able to provide strong leadership when needed. I highly recommend her. Thank you for all your work Karen. I would have no hesitation in recommending your practice to other potential clients. Thank you Karen Anker for your professionalism, your patience, your efficiency and your expertise over the last eight or so months. The thing I appreciated from our first meeting and why I was confident when instructing you was that you'd tell me straight what the situation was and what was realistic within the law and our situation rather than telling me what I might want to hear or sugar-coat it, and that continued right the way through the trickier times of negotiation. I probably cost myself a few hundred pounds more asking all my questions and trying to think through all the possibilities(! ), but it was worth it to get something I'm comfortable with and you explained things and guided me through the whole process brilliantly. I found it a very good experience working with you, Karen, and I appreciated your manner in handling the issues that, frankly, I didn’t really want to deal with. You made it all very easy. Many thanks, Karen, I really appreciate your help and support and I'm very pleased with the outcome. Karen, I must record my gratitude to you and the other members of Barr Ellison staff who provided me with such efficient and sensitive help through this distressing and sleep-debilitating divorce. I want to thank you so much, Karen, for your incredible efficiency, speed and professionalism. As always with Barr Ellison, I am overwhelmingly impressed. Thanks for all your help and guidance over the past few months, Karen. Exceptional, helpful, considerate and still professional. Thank you, Karen, for all your help and advice in dealing with my divorce finances. I am glad I chose you to represent me. You have been great and very professional. Thank you so much Karen for your professionalism, understanding and support. Your efficiency is wonderfully refreshing. Thank you for all your help, Karen. I have been very conscious of you diligently pushing me forward in a world of corporate and childcare chaos my end (and I am deeply grateful). Thank you also for words of reason when my patience ran thin with my husband and his own solicitor. Thank you for the work you have done for me, Karen. I have very much appreciated your straightforward and transparent way of working. You are marvellous, Karen. Thank you for all your brilliant hands-on guidance and laser-sharp advice. The Family Law Team provided a very professional and swift service in my matrimonial matter. Thank you for sending through my copy of the final Pre-Nuptial Agreement and your invoice. I feel it is money well spent! Many thanks for your kindness and your efficiency Karen! You have helped me a great deal. I cannot thank Sarah and her team enough for the understanding and compassion through a very traumatic time in my life. They were always on hand to help me put things back into perspective. Sarah, quite simply, thank you for helping me to make everything happen. Silvia, I have been very happy with the service that you have provided to me in terms of advising and helping me to navigate through the unpleasant process of divorce. I have found your service to be helpful, friendly, straightforward, honest and non-provocative to my ex; I believe this has helped us to reach agreement and settlement as amicably as possible. I believe that you have charged fairly and openly for your time. I would very gladly recommend your services to anybody finding themselves in need. Thank you so much for your help, Silvia. You were very efficient and easy to talk with. The service provided was excellent and very professional and understanding. Most important was your patience. I am so pleased to have finally reached a marital financial resolution which is entirely due to the patience and efficiency of Silvia. She is so easy to work with and from our first meeting she listened to all my concerns, came up with a plan and gave me support and advice when I felt I was treading water. Her positive attitude is exactly what I needed and huge thanks to her for acting so quickly with all lines of communication along the way. Now we are at the end, I cannot thank her and Barr Ellison enough, and would recommend them to anyone! No fault divorce appears to be finally on its way for those planning to divorce in England and Wales. Couples need to know that a well-drafted nuptial agreement means they can have greater control over their futures. Did you consider your spouse’s pension when you divorced? A recent discussion on Radio 4 disclosed that a number of women said they had divorced without realising that they could claim against their husbands’ pension schemes. Can Family Wealth be taken into Account upon Divorce? This may be a case very much on its facts, but it shows the court being prepared to exclude a guaranteed inheritance. Family Breakdown: What are my Rights? What are my rights? This is the question most people caught up in family breakdown ask their solicitor. They are often quite frustrated at the answer! Splitting: is Divorce really only for the Wealthy? The new BBC drama The Split has generated press attention focusing on the hourly rates, designer labels and celebrity clients of the 'top flight' London divorce lawyers. Why Collaborative Law for Divorcing Couples? Although it asks a lot of the clients (and the lawyers), it enables clients to look back and feel proud that they have taken control of the process. We offer a fixed fee consultation of £50 for the first appointment. Get in touch on law@barrellison.co.uk or call 01223 417200 and ask for the Family Team.